by Anu Mutanen, LL.D., M.Sc. (Admin. ), University of Helsinki. Finland used to have one of the most sovereignty-oriented constitutions amongst the Member States of the European Union (EU). However, the EU membership attained in 1995 and the overall Europeanisation and internationalisation of the Finnish constitution during the 1990s contributed to a change towards a non-sovereignist constitution. This was evidenced in the new Constitution adopted in 2000 and, in particular, in the comprehensive constitutional revision realised in 2012. As a result, Section 1 of the Constitution of Finland currently entails both a clause on state sovereignty and a clause on EU membership as follows: ‘Finland is a sovereign republic. [–] Finland is a Member State of the European Union.’ How did this unprecedented constitutional regulation come about? by Professor Christer Karlsson, Uppsala University. 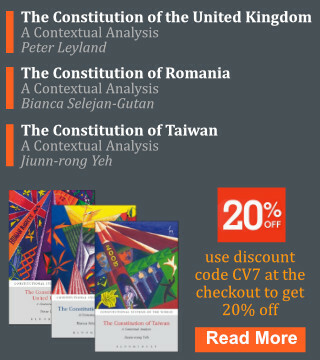 Constitutional change has emerged as a prominent topic in the research on constitutional politics and comparative law. In practice, constitutional change can be brought about in two fundamentally different ways: either by changing the wording of the constitutional document, or by changing the meaning of the constitution while leaving the constitutional text itself unaltered. The distinction between explicit and implicit constitutional change is certainly not a new one. Georg Jellinek published his seminal work Verfassungsänderung und Verfassungswandel as early as 1906 and more recent studies have shown that both kinds of constitutional change occur regularly in modern democracies.